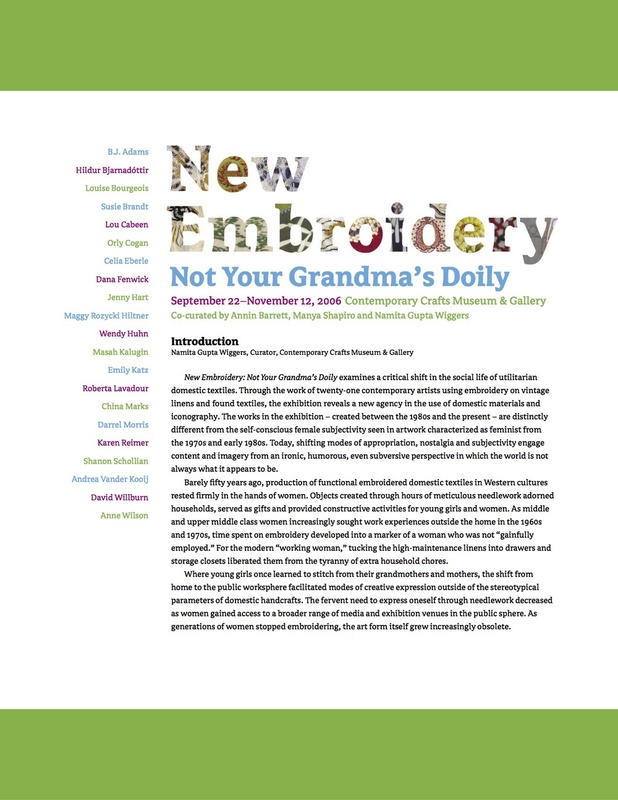 Multi-faceted exhibition of contemporary artists who work with thread: Louise Bourgeois, Anne Wilson, Darrel Morris, Susie Brandt, Orly Cogan, and others. Exhibit offered a fresh perspective on using textiles in art, with a playful approach to materials, witty subject matter, and subversive imagery. 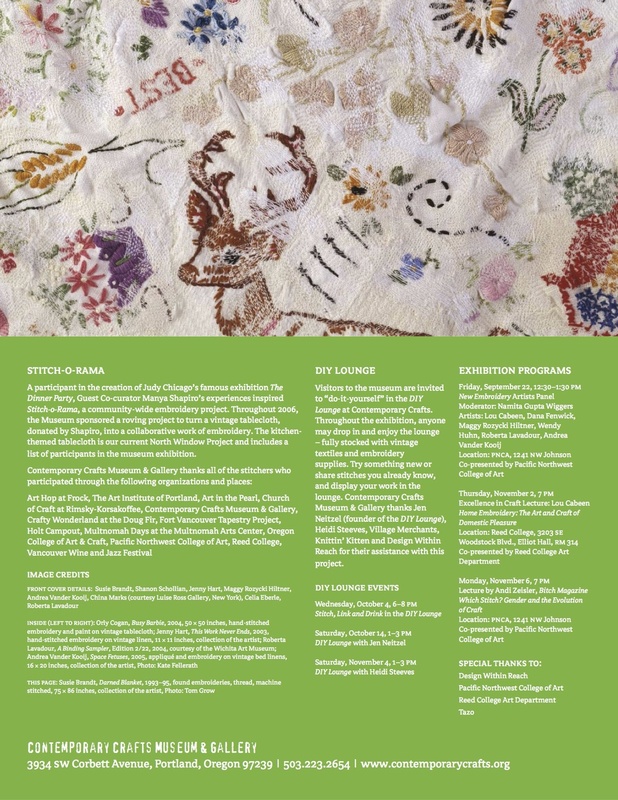 Co-curated with Namita Gupta Wiggers and Manya Shapiro.